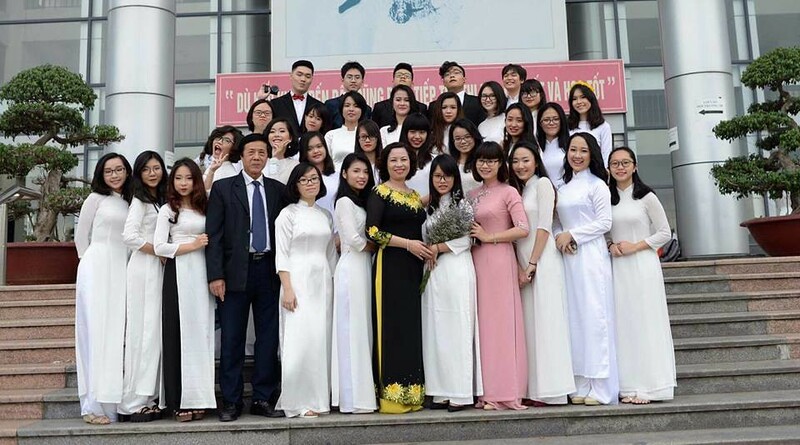 In order to celebrate Vietnamese Teacher’s Day (20/11), we have had the pleasure to interview Ms. Pham Vu Bich Hang – the Physics as well as head teacher of class 11 Physics 2 (16 – 19) of Hanoi – Amsterdam High School for then Gifted. We have been very absorbed in the stories and pleasant memories of Ms. Hang as a teacher, which all derived from her devoted passion to the prestigious career of teaching and the generations of Amsers. Below is Ams Wide Web’s record of our talk with Ms. Hang. Interviewer: Firstly, I would like to thank you for joining this interview! To start with, can you please explain why you chose the path of teaching, especially teaching Physics – a subject regarded as a rather difficult one? For me, becoming a teacher was genuinely predestined. 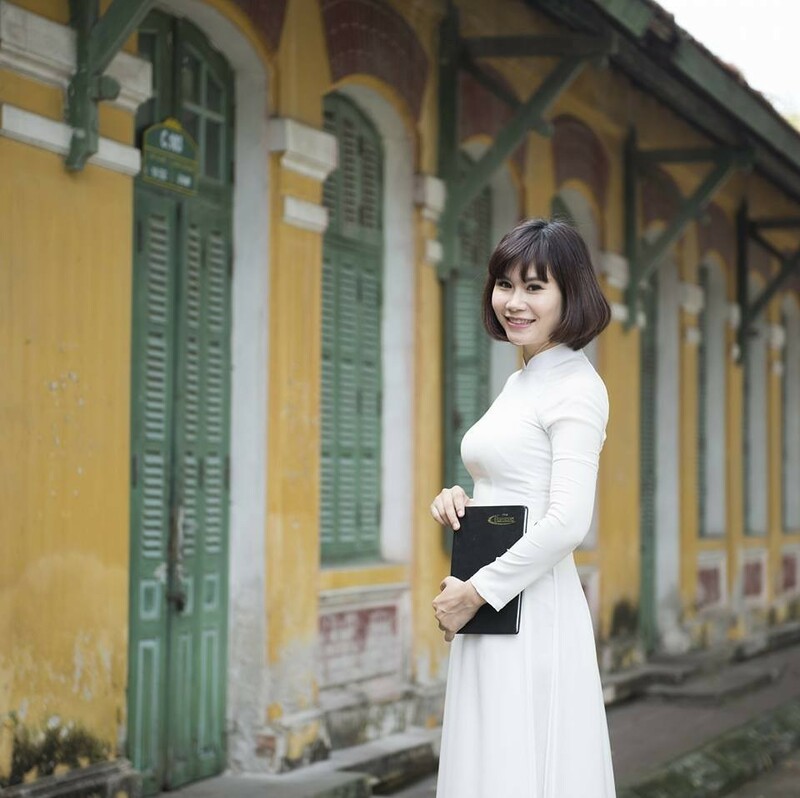 When selecting the Hanoi National University of Education, I simply thought: It is an honor to be a student of a prestigious university with many generations of my family who are working in the teaching field, and I would therefore have more advantages. Only when really standing on the podium did I see the beauty as well as the difficulty of my job. However, it is fortunate that I always have examples of previous teachers, the encouragement of colleagues and especially the students' keen interest. It was these things that gave me more motivation to try, create and improve my professional and pedagogical profession. Physics is a difficult subject but realistic and not lacking in romance at all. Sticking to this subject, I understand the difficulties of the students, especially those in social-oriented class. Therefore, I always expect them to approach the subject in the direction of: "Where can you find this knowledge in life? How can it come in handy?”. As for the advanced students, in addition to meeting the requirements of the theories and exercises, I encourage them to customize their own appliances and machines to utilise the knowledge of physics, which, henceforth, enhance their passion and practical understanding of this field. Interviewer: During your time teaching in Hanoi – Amsterdam High School, do you have any special memories regarding the generations of Amsers? I find myself fortunate to work in an environment conducive to professional development and education such as Hanoi-Amsterdam High School. Every class I taught left me with beautiful, bright,  mischievous but also very sincere memories. The deepest memory may be with my first class, Math 2 of class 11-14. Mainly composed of boys, the class in general was playful yet very caring at the same time. There are always tears of joy and excitement on each holiday and each excursion. I do not know how many times we had small, warm chats, how many times I gave punishments just to hear  apologies and promises over and over again. Fortunately, with the team spirit, the classmates encourage eachother to head for the better, so now they are final year students of  prestigious universities both at home and abroad. Every year when visiting me, the whole class would review the memories, to cherish the beautiful years that we all shared under the roof of Hanoi - Amsterdam. Interviewer: You have been assigned to be the Head Teacher of class 11 Physics 2 (16-19) this school year. Can you share your feelings and a message to them? This school year I’m stepping in the positions of the head teacher of 11 Physics 2. Despite the time limit, I find 11 Physics 2 very intellectual, active and warm-hearted. I believe that by working seriously and staying sincere in life, me and the students of 11 Physics 2 can have a fruitful and memorable school year. Interviewer: Beside the position of a Physics teacher, you are also involved in encouraging the extracurriculum activities of students. Do you have any tips for Amsers in order to balance their study and participation in such activities? Through the interview with Ms Pham Vu Bich Hang, we are so touched by the love and care she devoted to students. 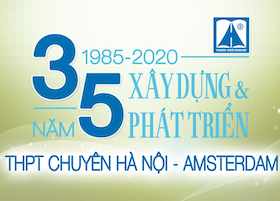 On the occasion of Vietnamese Teacher’s Day, on behalf of the students of Hanoi – Amsterdam, I wish you health, happiness and hope that you can still spread love, passion, knowledge and guide generations of Amsers on their path to success!